Mair joined the Wales Centre for Public Policy when it was still the Public Policy Institute for Wales in January 2017. 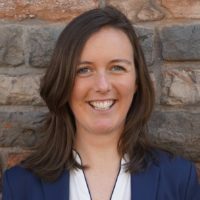 She led our assignment on the Future of Work for the First Minister, and since then has delivered new research into the implications of Brexit for fisheries policy in Wales. Other areas of interest and involvement include health, behaviour change, employment, and tax policy, as well as sustainability, resilience, and wellbeing. She is engaged in our research for both ministers and public services. Mair holds a First Class honours degree in Modern Languages and an MBA. She has worked for the Council of Europe, Bloomberg, the BBC and most recently spent four years as a senior consultant with Wavehill, a social and economic research company, where she led research and evaluation projects for public and third sector organisations including Welsh Government, the Prince’s Trust and the OECD. Her research experience covers a broad range of sectors, including education and skills; enterprise and jobs; rural and economic development; manufacturing and the creative industries; the environment, culture and heritage. A fluent Welsh speaker, among other languages, Mair spends her weekends in Cardigan, West Wales and enjoys being outside, preferably on a bicycle.